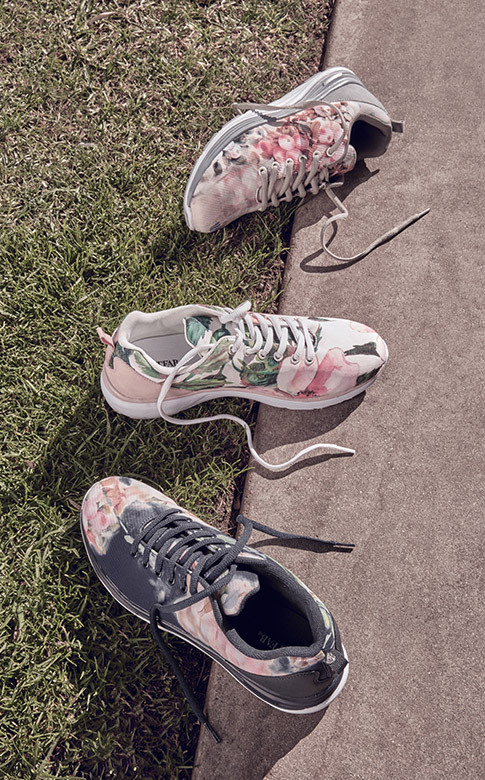 Kick it up a notch in of-the-moment trainers, which mix comfort and style. 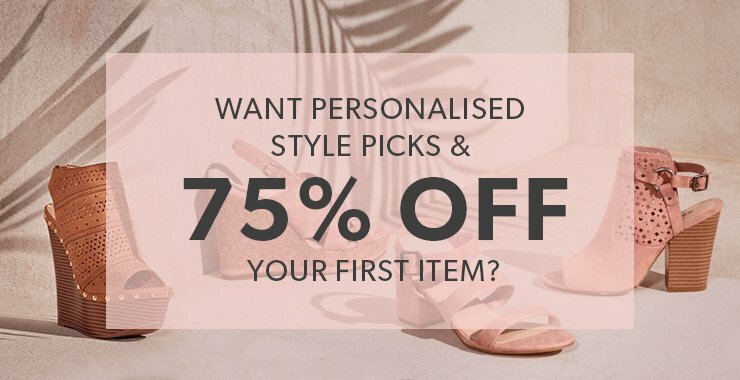 There's no need to sacrifice comfort for style with our range of chic-yet-casual trainers.Whether you prefer wedge trainers or plimsolls, there's no better time to hit the ground running! Who said you can't be elegant in trainers? You don't have to be a fitness enthusiast or a marathon runner to wear this classic footwear. Now, we're seeing it on the most sophisticated of fahion editors and models, sitting proudly on the front row of fashion shoes worldwide. 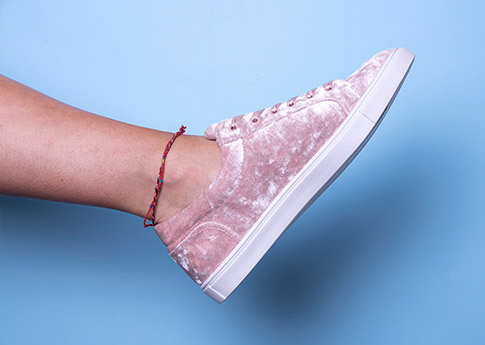 Invest in a chic pair of trainers, and we guarantee you'll never want to take them off again! Here's how to wear them like a fashion model. Flirty & Feminine Team a pair of lace hi-top trainers with an elegant dress. We recommend pairing black, glittery trainers with a pastel-coloured pleated dress for a feminine look with a bit of edge. 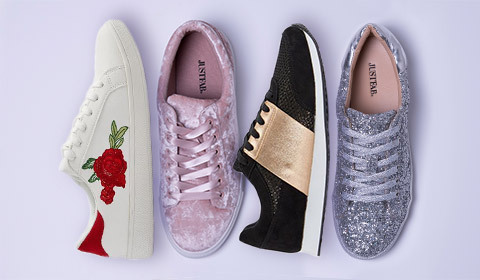 Metallic Magic You won't regret swapping your favourite shiny courts for metallic trainers. They're a more comfortable and polished version. What's not to love? The Fashionista Team a pair of kicks with an elegant skirt and silk culottes. Our tip: choose trainers with clashing colours for an extra dose of fashion flair.